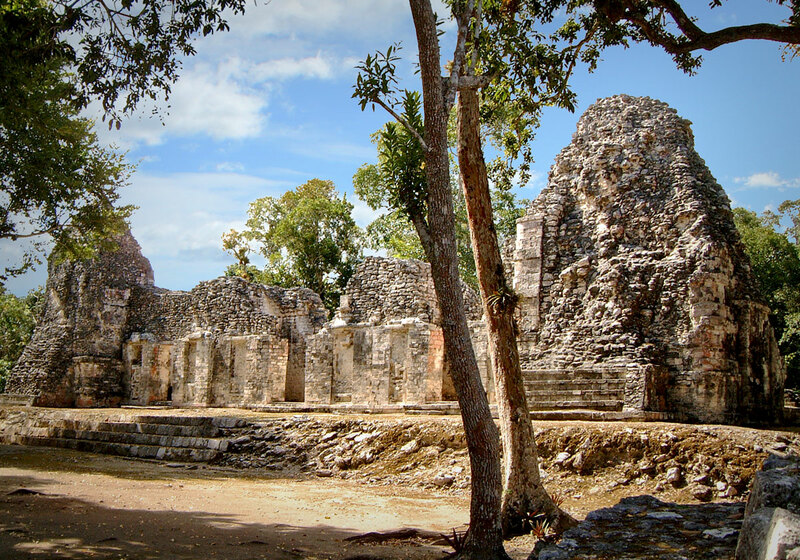 Chicanna Structure I is a near perfect example of the twin tower architectural style known as the Rio Bec. However, Structure II is small in comparison to Rio Bec temples found elsewhere in the region. The two ornamental pyramids at either end would have been perfect markers for recording the position of the sun set. See the article Structure I & the Rio Bec style for more information.